Houzz Members Save 6% Off Next Project! 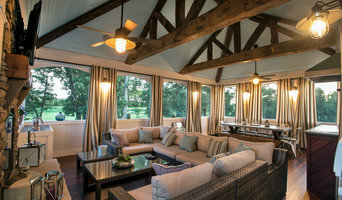 We are veteran owned, family run Construction Company that specializes in creating unique outdoor living spaces. We started business in 2004 building composite and wood decks for number major Northern Virginia builders to include Toll Brothers and Richmond America along with several others. 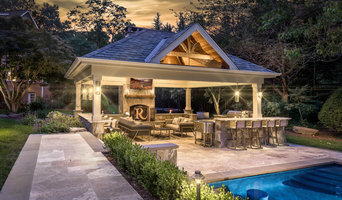 In 2005 we added custom decks to our service offering and then we have expanded our services to include paver and flagstone patios and sidewalks, outdoor fireplaces, screened and open porches, sun-rooms, additions, outdoor kitchens, gazebos, pavilions, permeable driveways, retaining walls, garages, etc. In addition, over the years we have received numerous requests to do home remodeling and in response we offer finished basements, remodeled bathrooms, etc. and in the near future will be opening a full service home remodeling division. In 2012 we moved into a 7.5 acre facility at 5003 Sudley Rd, Catharpin, VA. Over the next few years we will transform the property into a mecca for outdoor living with a new office and showroom, numerous outdoor displays, and a small nursery. We will also be offering outdoor furniture and a wide selection of grills and kitchens. Furthermore, in February 2013 we opened a full service landscaping and patio division to include professional landscape design/installation services.